Carlos Barriento plays the double bass and freelances in New York City. He earned a degree in Sustainable Development and Hispanic Studies from Columbia University and a degree in music performance from the Manhattan School of Music. Dr. Elisabeth K. Pace specializes in Music Analysis and the History of German Music Theory during the late Renaissance and Baroque eras. She has presented invited lectures and colloquia at various universities including the Sorbonne, Harvard, and Yale. Jonathan Woody is a bass-baritone who performs regularly with the Grammy®-nominated Choir of Trinity Wall Street. He prepares and transcribes his own editions of lost works and works sporadically as a music librarian. 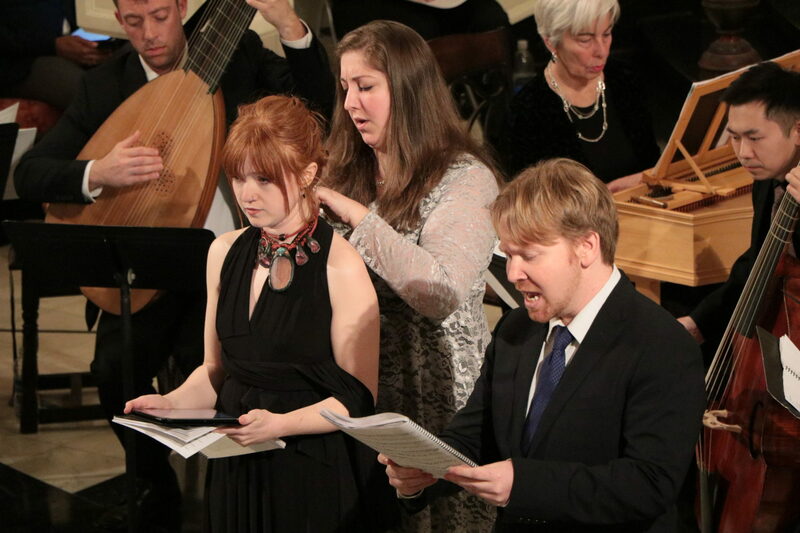 Lucy T. Yates, internationally acclaimed soprano and keyboardist, teaches Italian grammar and poetics for Bel Canto at Caramoor/Teatro Nuovo and for dell’Arte Opera Ensemble. She serves as language coach and dramaturg for the New York City Opera, and in 2017 joins the coaching staff of UCLA. Miss Yates holds a BA in piano and English from UNC-Chapel Hill and an MM in voice from the Manhattan School of Music. She is a regular panelist on the Metropolitan Opera Radio Quiz.